If You’re Missing Your Target? 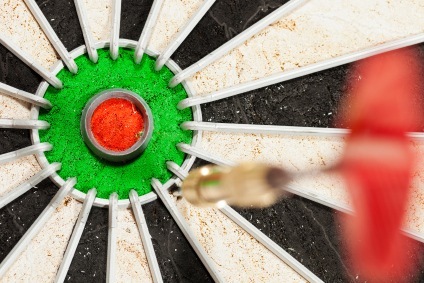 Is getting through to potential target clients becoming more of a challenge? If you are marketing and not hitting the proper contacts it’s almost better (and easier) to spend your marketing dollars elsewhere. Finding out contacts that WANT to receive your promotions can benefit you in the long run. Your marketing will benefit from being more effective, increase the amount of interest per promotion, and your marketing budget will be spent wisely with a quicker return on your investment. The old saying “Throwing spagetti up against the wall to see what sticks” is clearly not cutting it anymore for marketing. Your potential clients are too inundated with numerous promotions these days. It’s your responsibility to deliver your message in marketing not only clearly and precisely but in a manner that benefits your brand best. Additionally, your time spent on your marketing efforts is totally wasted if you are promoting to contacts that have no interest in working with you. For instance, purchased lists give you a full abundance of information. Problem with the information is it is NOT targeted to you. License agreements and purchased lists are basically public compiled data that everyone in your industry has access to. Taking the step further to target who is worthy of seeing your promotions will allow you to stand out and make sense of your market in a more intimate setting. 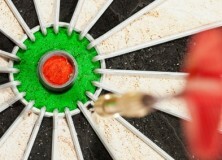 Targeting your potential clients can be very easy. For marketing I always recommend combining your personal contacts, dream clients, and a short generic list created from your database provider. However, after creating a list that fits your specialty you then must target that list down to your specific marketing needs. Having help with this task is great if you have the resources. If you are a hands on kind of owner or don’t have the resources you will need to spend some time with this. If not some options for assistance can be an intern, assistant, or marketing company. Your generic list is the name I use to refer to any list created from a database provider. I call them generic because several other artists in your specialized field can create the SAME list. Going the step further will not only bring greater awareness to your brand but allow you greater results. For more info on how you can target your market contact iHeart Marketing today! To schedule a FREE one-on-one consult please reserve your consult time today! To find out more details on our Targeted Marketing Services visit us here! ← Feeling Inspired…. or NOT?